Moments before crashing on the moon’s surface, SpaceIL’s Beresheet lander took this picture of its descent. 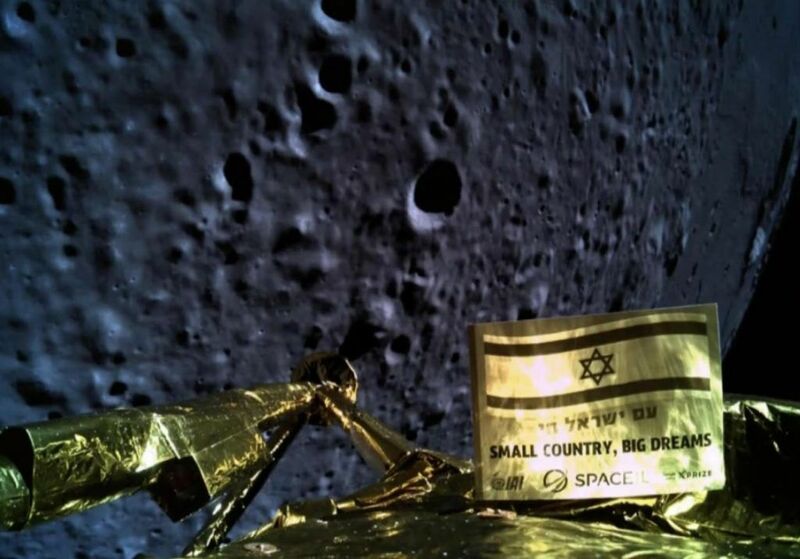 Today, an Israeli lander named after the Hebrew word for “Genesis” attempted to mark a new beginning for space exploration by becoming the first privately funded spacecraft to touch down on the moon. Built by the Israeli nonprofit SpaceIL, the Beresheet lander tried to softly land within Mare Serenitatis, a vast volcanic basin on the moon’s northern near side—but as it made its descent, the spacecraft’s main engine failed. Engineers reset the spacecraft but lost communications, and the 330-pound lander ultimately crashed.